CHISINAU, February 11. /TASS/. 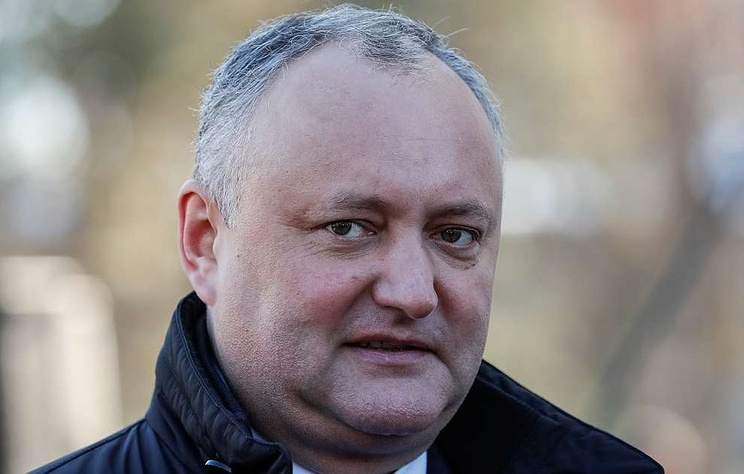 Moldova’s President Igor Dodon has expressed his gratitude to Russia for assistance in securing the release of two Moldovan pilots who had been held captive by terrorists in Afghanistan for more than three years. He said as much at a meeting with Russian Ambassador to Moldova Oleg Vasnetsov on Monday. "On behalf of myself and the families of these pilots, whom they have already got in touch with, I expressed our gratitude stressing that a friend in need is a friend indeed. Without the assistance of our friends in Russia, the Moldovan pilots’ release from captivity would have been impossible," the president wrote on Facebook after the meeting. A Mi-17 helicopter belonging to Valan International Cargo Charter, which had been contracted by the US government, came under fire in Afghanistan’s Faryab province controlled by the Taliban movement (outlawed in Russia) on November 24, 2015. After the crew had sent a distress signal, the helicopter made an emergency landing. There were 21 people aboard, including 18 passengers and three crewmembers. Afghan security officers reached the crash site to find four bodies, including the body of one of the crewmembers. The rest were seized by Taliban militants. A video featuring the hostages was posted on the Internet the following day. Moldova’s government restricted the media’s access to information on negotiations for the pilots’ release for fear that the negotiations process could have been damaged. On Monday, Dodon said that the two pilots had been freed with Russia’s assistance on Sunday and brought to Moscow.